A Festivus for the rest of us. 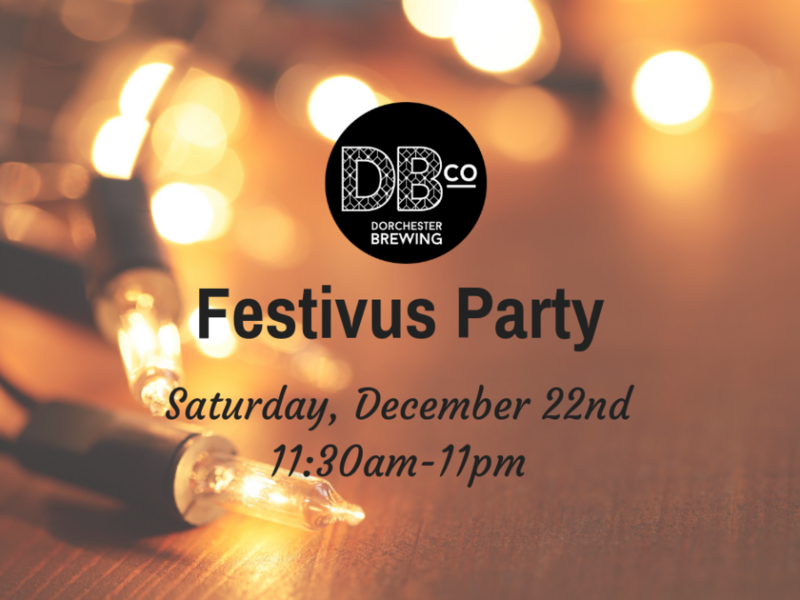 Come one and all on Saturday, December 22nd for a traditional Festivus Celebration at Dorchester Brewing Company centered around the Festivus Pole. 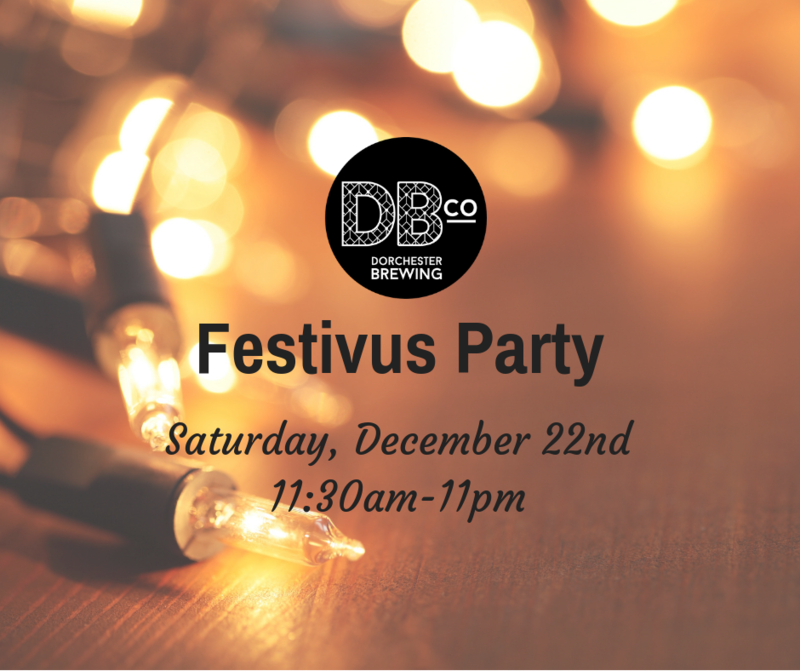 And of course, an official airing of the grievances will take place, so come ready to share your grievances and we’ll be shouting them from the top of the brewhouse for all to hear! Beer Release: We’re releasing our Dorchestivus beer, a German Starkbier traditionally brewed for the holidays. Dominant malt flavors with some candied fruit notes. Noticeable alcohol. The German equivalent of English Barleywine. Perfect for feats of strength and airing of grievances! Airing of the Grievances: 2-5pm. Yell your grievance into the brewery! Melt Food Truck: 2-8pm. Poutine and cheesy sandwiches for days, paired perfectly with our fresh craft beer. Boston Brew Tours: 12-6pm. Boston Brew Tours will be on-site offering awesome brew tour discounts, swag, free tickets and more!